Atmospheric, Biological Products May Help To Detect Alien Life in the Other Planets: The biological products in the atmospheres of potentially habitable planets outside our solar system may help detect alien life, scientists say. These atmospheric fingerprints of life are called biosignatures. It will detect using next-generation telescopes that is measure the composition of gases surrounding planets that are light years away, according to the research publishing in Astrophysical Journal Letters. However, biosignatures on single measurements of atmospheric gases can mislead. Scientists at the University of California, Riverside in the US are developing the first quantitative framework for dynamic biosignatures on seasonal changes in the Earth’s atmosphere. The most visible signs of this phenomenon are changes in the weather and length of the days, but the atmospheric composition is also impacting. For example, in a Northern Hemisphere, which contains most of the world’s vegetation, plant growth in the summer results in noticeably lower levels of carbon dioxide in the atmosphere. The reverse is true for oxygen. 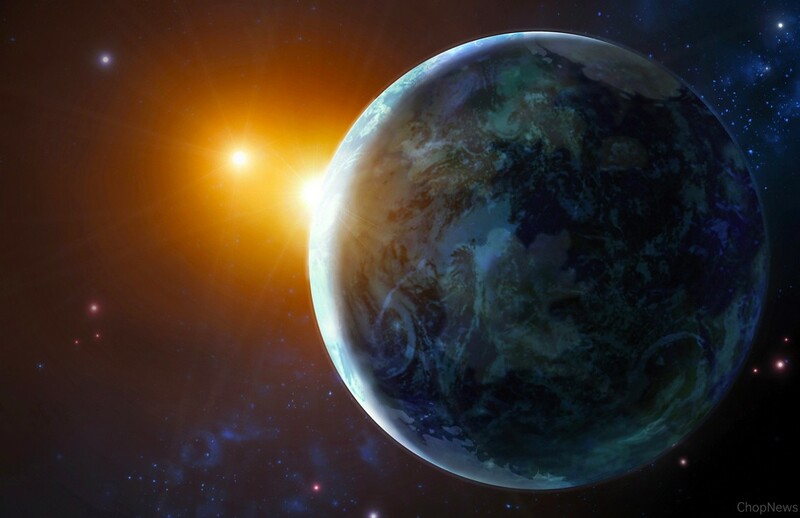 Atmospheric seasonality is a promising biosignature because it is biologically modulating on Earth and is likely to occur on other inhabiting worlds, says Stephanie Olson from the University of California, Riverside. Inferring life on seasonality would not require a detailed understanding of alien biochemistry because it arises as a biological response to seasonal changes in the environment rather than as a consequence of a specific biological activity that may be unique to the Earth, says Olson. Further, extremely elliptical orbits rather than axis tilt can yield seasonality on the extrasolar planets, or exoplanets, expanding the range of possible targets. The researchers identify the opportunities and pitfalls associating with characterizing the seasonal formation and destruction of oxygen, carbon dioxide, methane, and their detection with the using an imaging technique are known as spectroscopy. They are also modeling fluctuations of atmospheric oxygen on a life-bearing planet with a low oxygen content, like that of Earth billions of years ago. They found that ozone, which is producing in the atmosphere through reactions involving oxygen gas produces by life, will a more readily measurable marker for the seasonal variability in oxygen than O2 itself on weakly oxygenated planets. It is essential that we accurately model these kinds of scenarios now, so the space and ground-based telescopes of the future can design to identify the most promising biosignatures, says Edward Schwieterman, a NASA Postdoctoral Program fellow at UCR. In the case of ozone, we will need telescopes to include ultraviolet capabilities to detect it quickly, says Schwieterman. He says the challenge in searching for life is the ambiguity of data collecting from so far away. False positives with no biological processes that masquerade as life and false negatives life on a planet that produces few or no biosignatures are both significant concerns. Both oxygen and methane are promising biosignatures, but there are ways they can producing without life, Schwieterman says. Olson says observing seasonal changes in oxygen or methane will more informative. Comment your viewpoints from Article.